In this couple of weeks, very strangely, I kept thinking and saying to myself, ‘Atlantis is rising’. Perhaps the message had come from my higher self or my soul memory. Then this morning, Cosmic Master Thoth – who was the King Priest of Atlantis, Chiquetet Arlich Vomalites – appeared in my mind and asked that I transmit a series of Light Language sound and light codes to accelerate the recoding and re-activation of our 12-strand DNA blueprint. Thoth said these high vibrational sound frequencies are coming from the collective memory held by the Atlantean Priesthood and in particular, of a huge quartz crystal that was once placed in the Temple of Poseidon of Golden Atlantis. This crystal was used by the High Priests and Priestesses to access and disseminate pure Source energy and galactic intelligence to the people of Atlantis. Thoth also revealed as Earth moves deeper into her 5th dimensional consciousness, memories of our Atlantean heritage, gifts and abilities will also be regained consciously, starting with those of us who had served in the Priesthood of Golden Atlantis in our earlier incarnations. “The DNA contains all the knowledge of who you truly are. Like an unfolded flower bud, the dormant DNA strands are embedded with the potentiality of all your angelic qualities and more. You can envision these inactive DNA structure as sealed codes of alchemy. When unlocked, they release the forces which would vastly alter your perception of the realities you are in and are capable of transforming. The secret to unlocking these seals are codes of Sound and Light pulsations transmitted from a source and through a channel which holds the matching energy frequency, almost like they having the perfect key to decrypt the previously scrambled and non-functioning programs for effecting soul-driven transformation. The DNA/RNA matrix of the perfected angelic human body is encoded with a memory of oneself as God, the Supreme Being, the Be All and End All. The Divine Fire Letters – YHWH, derived from the much revered sound of Yod Hay Vad Hay – are to be used to awaken this memory. By speaking these sounds alone may not bring about a complete revival of this seed memory unless they are transmitted through sufficiently high sound and light energy waves (Ann’s note: referring to the vibratory frequency of the medium). To listen to the energy transmissions accessed inter-dimensionally from the Atlantis quartz crystal now buried under the ocean, click Atlantean Sounds 23Jan13 (2 minutes). Read post of 19 January 2013. These techniques will be taught by Thoth to add to our collection of healing tools. 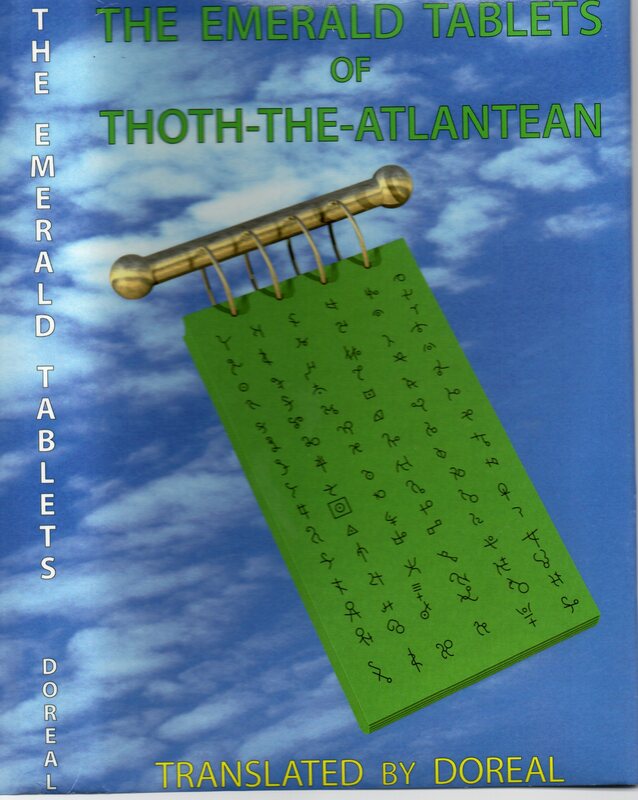 Recommended read: Emerald Tablets, Tablet I : The History of Thoth, the Atlantean. Follow our blog to receive instant updates of channeled messages and other free resources. Click FOLLOW on right side bar of home page http://www.acast.me. Hi Amara Tia, just thought i,ll share, Couple of days ago, I received a statement that said, Atlantis, which is now a star, is called yeh teh leh hey in the old language. Don’t know what it means but interesting that I find it resonant with Atlantis rising. Blessed be!